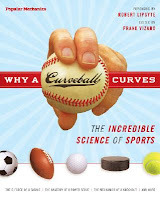 The editors from Popular Mechanics Magazine have compiled expert analysis from over 20 sports specialists on 15 sports, from football and soccer to running and bowling. With one chapter per sport, the authorities explain the science that supports the best athletes and their skills (yes, they include Tiger’s swing), ponder the question of doping in sports, and even look at some of today’s high-tech equipment, like the Speedo Fastskin swimsuit we will likely see on swimmers during the Beijing Olympics. This book is for any sports fan from the couch-surfers to professional athletes looking to improve their skills. Remember that book, “All I Really Need to Know I Learned in Kindergarten”? First it was a book, then a poster that hung on every university student’s wall and in every teacher’s classroom. Well, the author of that “simply living” guide was Robert Fulghum (that’s Ful-jum) and he is back with his latest book of ‘stories, observations and affirmations’. He traveled looking for other people like him, people who are willing to embrace their childlike enthusiasm, people who can turn mundane things into extraordinary experiences, and people who can find wonder in the world each day by looking around them with from different perspectives. Thus he learned the difference between kalimera (good morning) and calamari (squid) in Crete, came to be wearing a giant rabbit suit in Seattle, and found artesian water from Fiji in the middle of the Moab desert in Utah. For anyone who delights in finding the profound in everyday living, or who needs an uplifting laugh, What On Earth Have I Done? is a quick, quirky, conversational read sure to raise the spirits of even the gloomiest Gus. A secret is at the heart of Canadian author Rick Jacobson’s newest story, The Master’s Apprentice. Young Marco leaves his family to serve as a junior apprentice in Florence, Italy, to the famous but temperamental painter, Michelangelo Buonarroti. It is a tremendous opportunity for Marco. Before leaving, his father, a chemist, cautions him to “keep our secrets secret”. Marco promises. In Florence, he tries his best to please Michelangelo, knowing that he could easily be sent home in disgrace by the artist, whose temper tends to explode at any time for any small reason. Eventually, the inevitable happens and it appears that Marco will lose his position as apprentice … unless he divulges one of his father’s most valued secrets: the recipe to prepare the glorious alizarin crimson paint. What is he to do? The Master’s Apprentice is a well-written children’s story about art and loyalty. The illustrations by Rick Jacobson and Laura Fernandez are exceptional: the facial expressions capture Marco’s uncertainty, Michelangelo’s anger and the emotions of the other characters perfectly. Jacobson has also written and illustrated The Mona Lisa Caper and Picasso: Soul on Fire for children. ** Recommended for ages 7 to 10 years of age. Secrets can be happy, inspiring, humorous, scary, or painful – even shocking. They can be important or insignificant. Some are short-lived; some hide an unrevealed truth for many years - perhaps forever. Yet there is one thing that just about all secrets have in common: because of their very nature, each is intriguing, whether to one person or to many. For this book, Marthe Jocelyn has collected a dozen short stories and portions of chapter books written by a number of authors, many of them Canadian, each involving a secret. From Can You Keep a Secret by Anne Laurel Carter, to Loris Lesynski’s I Don’t Have to Tell You Everything, readers are treated to a variety of fascinating secrets. Equally fascinating are the ways in which these secrets are revealed. As Marthe Jocelyn says, in the foreword, “Often, the best part of keeping a secret is finally being able to tell someone else.” How very true! Readers – especially girls - will be captivated by Secrets. Marthe Jocelyn is an award-winning children’s author who spends her summers in Stratford. ** Recommended for ages 9 to 13 years of age.